Learn how to manage your Shaw FreeRange TV app from My Account. 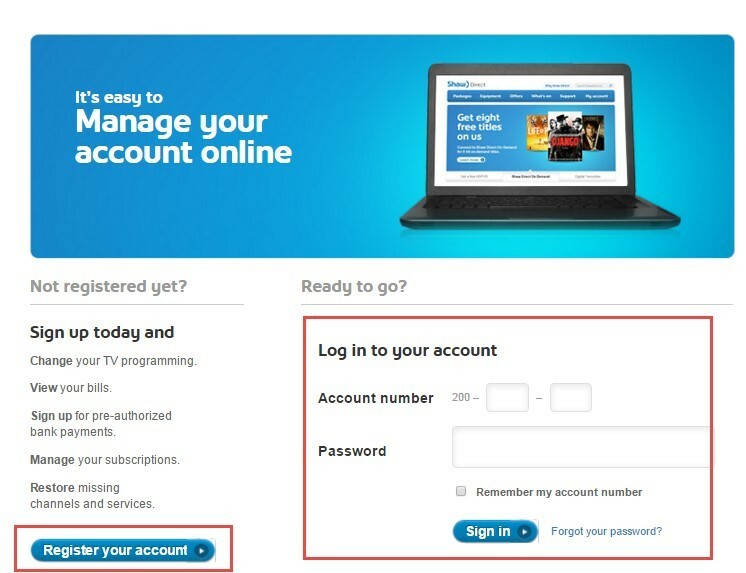 You can use this option to add or remove a device from your account. Click on My Account at the top of the screen. Sign in using your Shaw or Shaw Direct Credentials. If you have not established your My Account, please register your account to be able to start managing your Shaw FreeRange App. Click on the mobile device(s) that you want to disable Parental Control. Click on Disable Parental Control button. Note: The Parental Control PIN will be reset and will be defaulted to 0000. You will have to re-establish your PIN again via the App if you wish to control Parental Ratings or to turn it on/off. Note: You will no longer be able to access Shaw FreeRange TV App content on the removed device. You will have to login again with your Shaw or Shaw Direct Credential. The downloaded contents will be automatically "returned" and will no longer be available in your "Downloads" even after you sign in again.